Paleoclimate Shaped Bluefish Structure in the Northern Hemisphere – Three genetic units were identified across the Atlantic Ocean and the Mediterranean Sea. 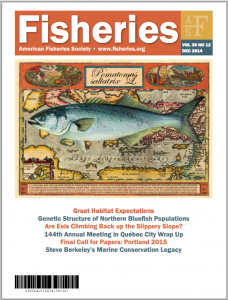 Paleoclimate could explain recent Bluefish population structure. The 2003 Québec Declaration of Concern About Eel Declines—11 Years Later: Are Eels Climbing Back up the Slippery Slope? As we wait eagerly to find out how many young eels will arrive from the ocean, the future remains as unpredictable. But the recent recruitment increase of some stocks and the relative stability of others indicate that, after many decades of continued decline, depleted eel stocks around the world have the potential to recover. Members click here and sign in, then on the green, righthand menu you will see members only > members only links! 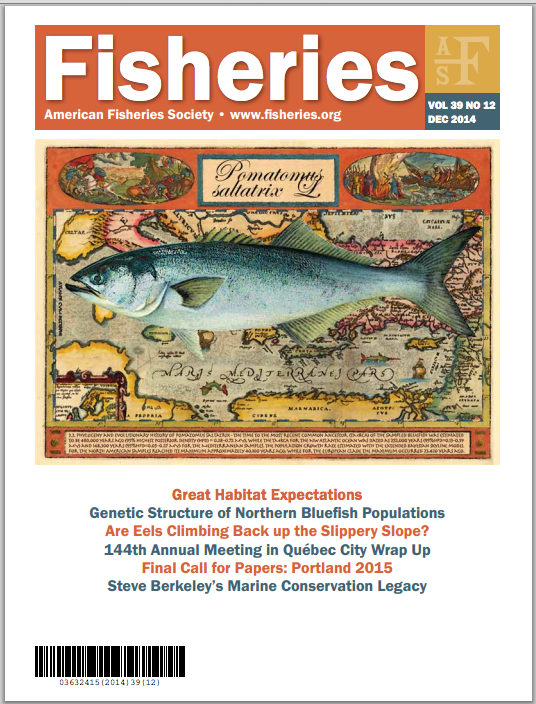 Non-Members click here to learn about the many benefits that come with being a member of the American Fisheries Society!